Amin Golestan is a world-class, award-winning DJ that has been spinning on a global scale for over 5 years. 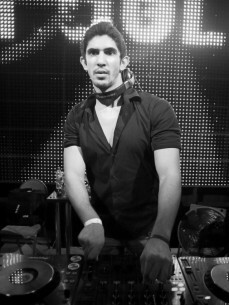 Beginning his career at a young age in Dubai, Amin fine-tuned his technique in the competitive DJ scene while developing international tastes through travel. During his travel, Amin played in large venues in Moscow, Amsterdam, Miami, Dubai, Tokyo, Kiev, Ibiza, Rotterdam, Yalta, Abu Dhabi, and Kazantip. While performing in these cities, he began to win awards establishing himself firmly as a preeminent DJ in the music industry. After a string of awards and appearances, most notably winning the Palme DJ Competition and the Pioneer Asian DJ Competition in 2008, and being voted as the number one DJ in the Middle East and North Africa, Amin landed the much coveted cover of DJ Magazine in February of 2010.